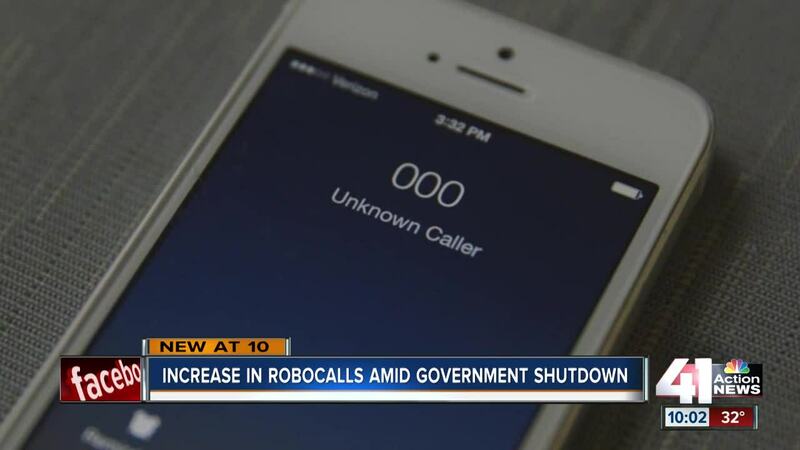 Scam calls keep ringing and ringing—and the government shutdown could make these robo-calls even worse. They call at all times of the day. Sometimes it's non-stop. With federal agencies closed, there are less ways consumers can defend themselves. "The scammers are always looking for the most vulnerable in society," said Ethan Garr, vice president of product and marketing for RoboKill. "The 800,000 people who are out of work right now, because of the government shutdown, they are extra vulnerable during this time. They are hurting, they need help." R oboKill is an app that intercepts robo-calls and calls the numbers back. It's a way a consumer can "get revenge" on those robo-callers, according to Garr. Besides apps, the Federal Trade Commission (FTC) and the Federal Communications Commission (FCC) are two main government agencies that help monitor robo-calls. The FTC runs a Do Not Call Registry, which has haulted operation since the government shutdown. "The companies that normally honored this Do Not Call Registry actually can't do that, which means that thousands and millions of calls are being made that normally wouldn't be made," said Garr. "People that opted not to recieve robocalls are actually getting calls anyway because there is no way to honor that list." The best defense to robo-calls—push ignore. If you answer, do not give our any information.